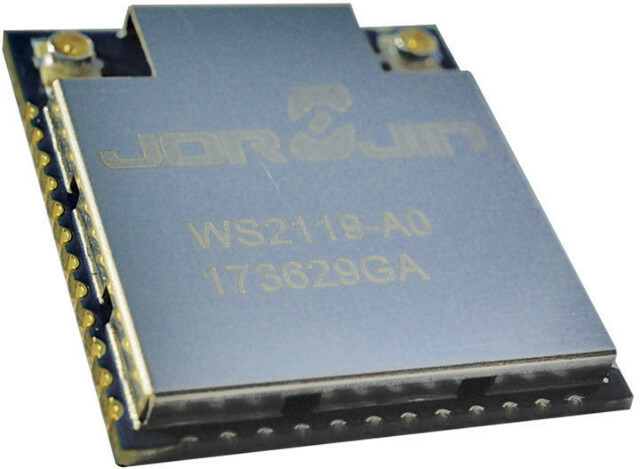 Jorjin WS211X is a family of certified dual radio modules combining Sigfox wireless technology thanks to STMicro BlueNRG-1 BLE System-on-Chip (SoC) and Bluetooth Low Energy (BLE) using STMicro S2-LP sub-1GHz RF transceiver. Two models are currently available: WS2118-00 certified for Sigfox regions RCZ1 (Europe, Middle East, South Africa) and RCZ3 (Japan), and WS2119-A0 for regions RCZ2 (USA, Mexico, Brazil) and RCZ4 (Australia, New Zealand, Taiwan, Hong Kong, Singapore, Argentina). Receiver sensitivity – Up to -88dBm (BLE) and -130dBm (Sub-1GHz). 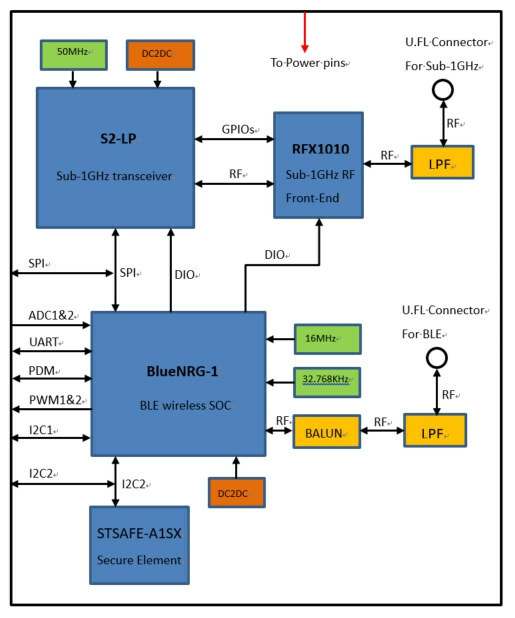 Combining Bluetooth and Sigfox is said to enable firmware update over-the-air, which is not possible with conventional ‘Sigfox-only’ modules, as well as offer the option to modify settings locally over Bluetooth. An Arduino compatible evaluation board is available for the WS211x modules, and it is also compatible with STMicro Arduino shield boards featuring MEMS motion sensors, environmental sensors, or Time-of-Flight (ToF) ranging sensors. I could not find any details on Jorjin website, but a $84 WS2118 board offered on GroupGet, which also links to some documentation. 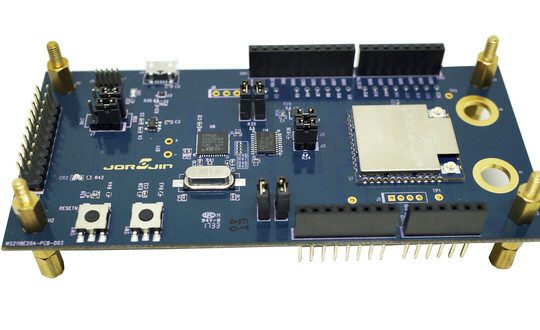 Jorjin also provides An SDK enabling customers to develop applications using WS211x modules with ST’s sensor shield boards, as well as an AT command list facilitating customers test of the modules’ BLE and Sigfox functions. Visit Jorjin WS2118-00 and WS2119-A0 product pages for details.